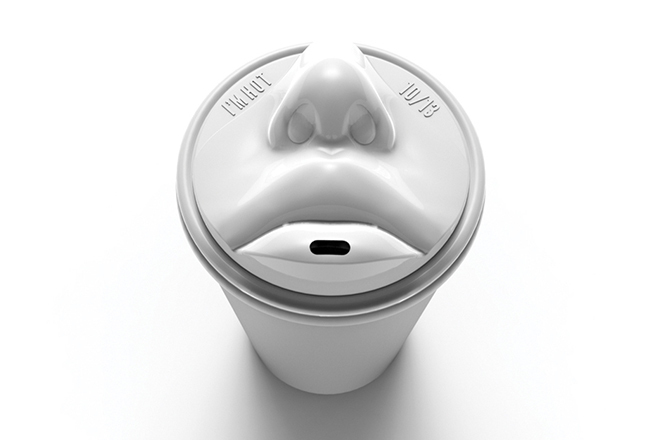 Korean designer Jang Wooseok has created the “Kiss” coffee cup lid, bringing a unique human interaction to the normal coffee drinking experience. The lid, which appears to be made from normal coffee lid plastic, comes in a variety of colours to reflect various ethnicities and has been designed to be both fun and functional. “Take-out coffee is a symbol of city culture and fashion,” says Wooseok. “[The] shape of a lip is a distinctive style, thereby the combination will be fun.” For now, the project is just a one off, but if this catches an investor’s eye you may see these in a coffee shop near you soon.